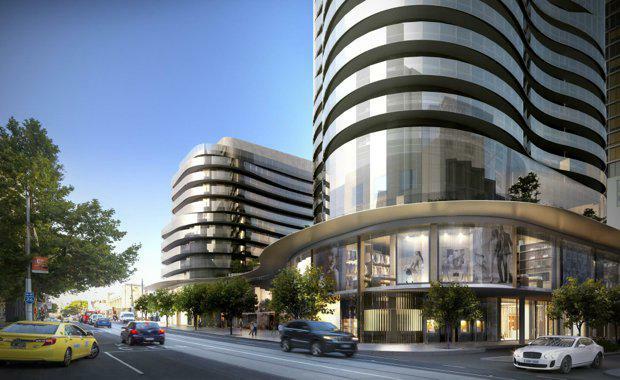 The $500 million Capitol Grand South Yarra has become the first Melbourne luxury property development to open for online pre-purchase deposits. Chief Executive of LK Property Group Larry Kestelman said the online mechanism was favoured as the best way to satisfy the overwhelming registrations of interest received for the iconic corner site development. “Since opening for registration in February, we have received over 4000 registrations of interest for just 450 available properties, demonstrating the level of excitement about having a six-star international quality luxury development available in Melbourne,” he said. LK Property Group launched Capitol Grand registrations of interest in March with a major event partnership at the Rolex Australian Formula 1 Grand Prix in Melbourne. The sales team will not embark on their Asian roadshow until next month, with current demand strongly drawn from the local owner-occupier market.